Electrical Services are offered by Future Controls, Inc. as an extended service to our Mechanical Service and Controls Department. We employ a certified electrical contractor who has over 25 years in the industry as part of our daily operations. Our goal is to provide a single place of contracting for our customers in an effort to help eliminate multiple contractors, finger pointing and scope of work controversy. 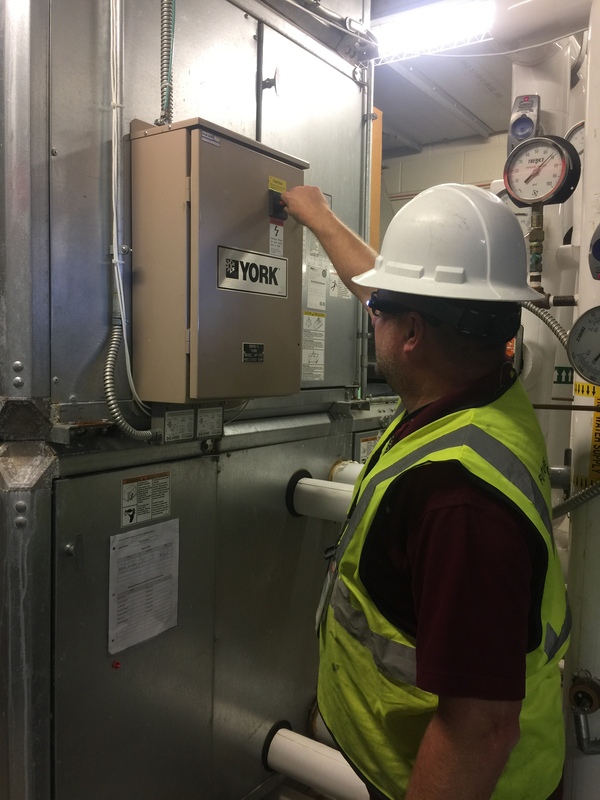 Where, in many cases, changing out or upgrading mechanical equipment can require an electrician to increase circuit sizes or simply just move electrical services to accommodate the new equipment – Future Controls, Inc. offers a true turnkey solution. Future Controls, Inc. electrical department provides our customers the confidence that this work will be done correctly and to the same standards you have come to expect of our mechanical service department..